Senior nurse at Elgin hospital complains of possible 'terrible consequences' from overcrowding. 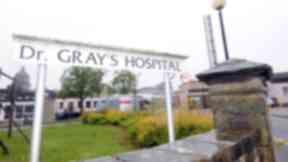 NHS Grampian has denied that there were major problems at Dr Gray's Hospital in Elgin following allegations attributed to a senior nurse at the unit. A report this morning claims that heart and stroke patients have been passing out in chairs at the Moray hospital because it is suffering from a shortage of beds. According to one senior nurse, staff are often left with nowhere to treat patients who are being admitted with chest pains as the Acute Medical Receiving Unit (AMRU) was full most days. The nurse, who did not wish to be named, told the Press and Journal: "All patients are coming through accident and emergency because the AMRU is running full, it is not working as a medical assessment unit. "It's not this quick turnaround that it's supposed to be. It might look good on paper but unless we have twice the number of nurses it's just not possible to make a quick turnaround." According to the report after taking patients to the hospital Paramedics have been left standing in the corridor with their charges as nursing staff "frantically try to move patients around". 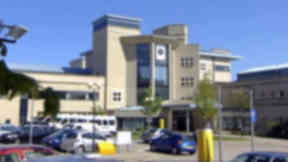 The nurse added: "December 21 was an example of a very busy day with ambulances queuing at A&E. This has led to terrible consequences." However, a spokeswoman for the health authority insisted that while there were problems on December 21 all were resolved. She said: "Winter is a busy time for all hospitals, and December 21 was a very busy day for Dr Gray's A&E department. "There were some patients waiting in A&E longer than we would wish during that day. This was due to a number of reasons, all resolved during the day, to enable the patient to progress to either admission or be discharged. "Bed capacity is continually assessed." Dr Gray's Hospital has 185 beds, but an entire ward was closed last year with the loss of 28 beds. Your report: If you have information on this or any other story, please let us know. You can send information, pictures to stuart.crowther@stv.tv or call us on 07753 786177.